Tom was also… arrogant, extremely competitive, loved the spotlight and spoke about his material possessions often. When that essence showed up…it repelled most people. 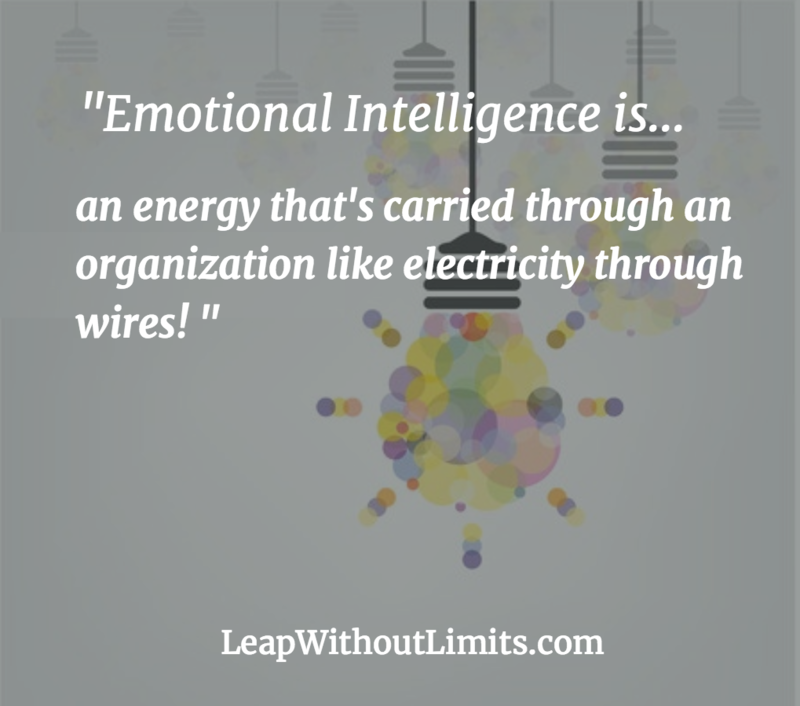 In the past twenty years studies have shown… a leader’s emotional intelligence creates a certain culture or work environment. Now we know a leader’s mood and behavior – how he or she shows up – drives the moods and behaviors of everyone else. Quite literally, a leader’s mood is contagious… and spreads quickly and inevitably throughout the business. Note: This invisible “intelligence” powers all organizations, teams, associations and groups. High levels of Emotional Intelligence produce a climate of sharing, trust, healthy risk-taking and learning. Low levels of Emotional Intelligence create a climate filled with fear and anxiety. Daniel Goleman, author of Emotional Intelligence, asserts that it is not cognitive intelligence that guarantees business success but emotional intelligence. Everyone is a leader in his or her life…and you always have a choice in how you show up! Tom showed up and measured success by… his “power” position and the number of toys he acquired. Transformational leaders show up differently! Transformational leaders leap beyond the power and money measures of success to discover and know themselves on a deeper, more authentic, level. They live and embody the softer skills of leadership. Interestingly enough, research shows softer skills deliver solid results. 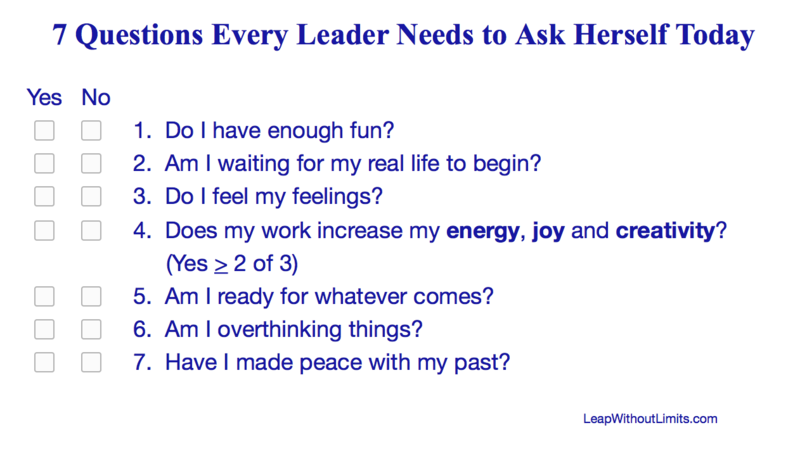 Select at least one of the seven questions that ignited a charge or feeling and explore it further by asking open ended questions. When do I hold back? When do I give my all? What am I afraid might not happen? What is the permission I need/want to move forward? Write your answers in a journal. Engaging one’s attention and awareness on what’s happening inside of you… directly impacts how you show up and yields far-reaching results. Results that can improve relationships, generate innovative ideas, lead to more creative work and an overall greater sense of well-being. Now that’s something worth exploring! Interested in more? We each have a unique calling. Just like your DNA and fingerprint your life purpose is unique to you and it’s always evolving. There’s a fun, easy and quick way to discover where you are on your path. Take the Life Path Quiz today!